Perfect match for the hinges on my rv bathroom door. 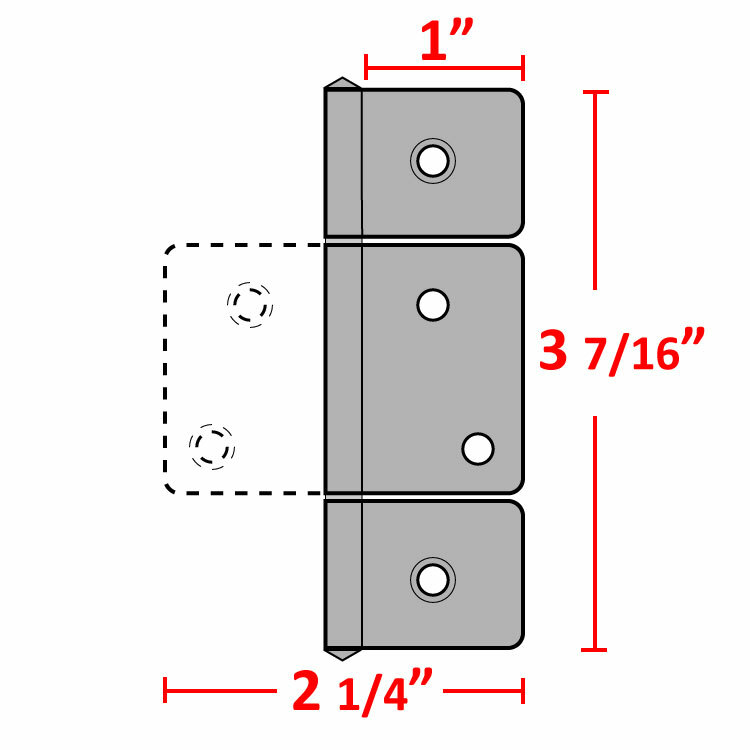 The precise info on the website allowed me to order the perfect replacement after I ran the slide into the bathroom door and bent the existing hinges. The arrived much faster than I expected which really work out well for me. Perfect fit and function for replacement of all the inside doors on my prefab home. Good quality at great price and even includes the screws. Very happy with the product. It was exactly what I was looking for and could not find anywhere else. It was received promptly and have already been installed. I would deal with Shutter medic again without ant hesitation! Keep up the great work, guys! I had the shutters in my guest bedroom spray painted and my painter lost one hinge. I looked high and low for a replacement hinge but with no success until I located your web site. 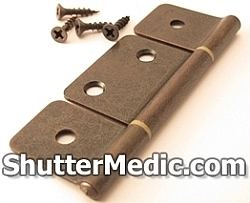 I ordered two hinges from ShutterMedic and received them in a few,days. The price and quality was great. As needs arise, I will definitely order products from ShutterMedic again and recommend their products to anyone.